Did you know that certain groundcovers, among them Pachysandra terminalis (above, click to enlarge), will gladly adapt themselves to winter life indoors? 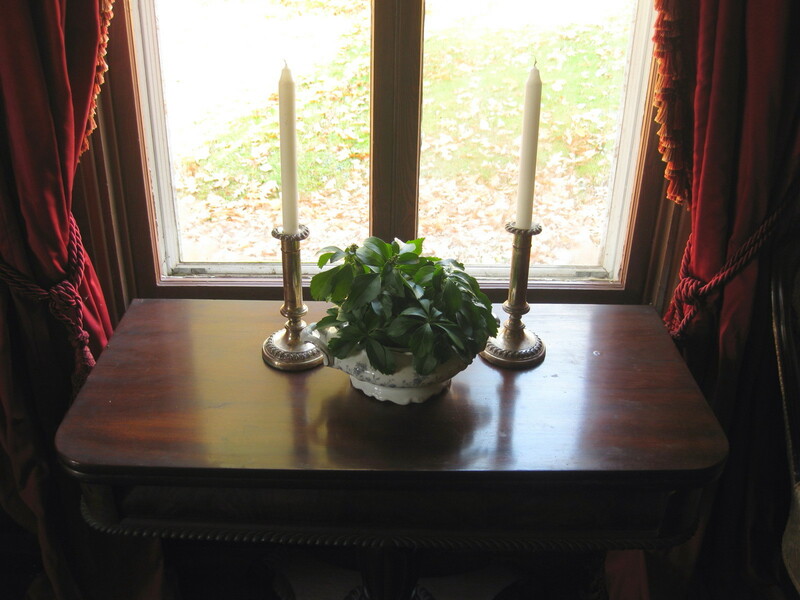 Cuttings of pachysandra will produce not only a terrific houseplant, but an elegant centerpiece, too. I snip a dozen stems from the garden in early November. Inserted into a floral frog, which is placed in a round, blue and white soup tureen filled with water, the cuttings soon grow roots and send up fresh, pale green growth. The effect is attractive for both dining and coffee table. The planting is also lovely in the window garden, in association with paperwhites and ferns. Pachysandra will thrive in any bright but cool location. Refresh the water weekly, and shower the foliage frequently with cold water to keep aphids at bay. Vinca minor (above and below), commonly called “periwinkle” or “myrtle,” will also live happily indoors. 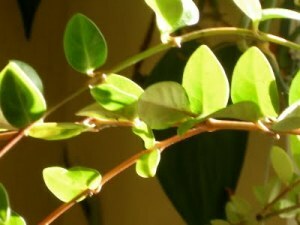 Cut stems any length you like, and remove the lower inch of leaves. Then insert the stems into a 4-inch pot of average soil. 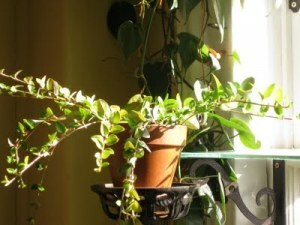 I will never forget the pots of vinca that resided one year on brackets at each side of my east window. They flourished all winter, framing the window with cascading masses of small-leaved greenery studded with blue flowers. You can make this portrait of periwinkle, too, in any window that is sunny or merely light. Just be sure to spray the vines weekly with cold water to ward off pests like aphids and red spider. English Ivy, Hedera helix, can be clipped from the garden, and grown in the same manner as vinca. Cut the stems in late summer, however, before cold weather toughens them. I gather vines in September, and let them soak for a week in a bucket of water on the front porch. This helps acclimate them to indoor life. Lengths of ivy, of course, are marvelous to have for flower arranging. I’ve heard that European Ginger, Asarum europaeum, will easily adapt to a double life. If, in your garden, you happen to have this evergreen groundcover, simply dig up a small clump and pot it in humusy, well-draining soil. 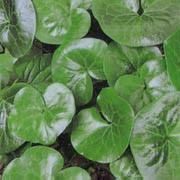 Placed in a bright window, asarum will send up its glossy, kidney-shaped leaves all winter long. I recently lifted a small, rooted section of Blue Pimpernel from the garden. This Anagalis monellii is a shrubby, annual delight here in zone 5-b, and a spreading, perennial groundcover where winters are mild. I’m hoping my pimpernel project is a grand success, and that in midwinter it will trail from a bracket, the medium-green foliage bedecked in flowers of the truest blue. Well, I can dream! 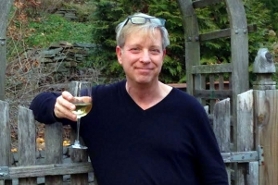 Don’t miss at beat at A Garden for the House…sign up for Kevin’s weekly newsletter! 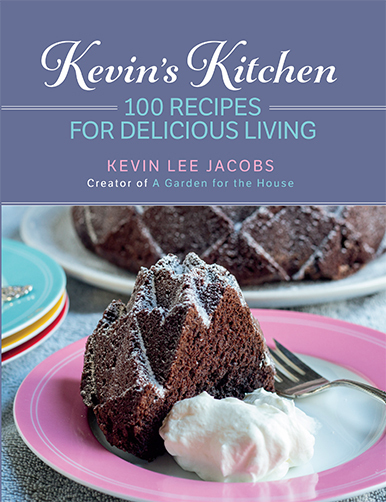 Kevin, I hope your Blue Pimpernel is a big success. Post a picture if it blooms indoors for you! Also – I like the green groundcover projects. I'm not familiar with European Ginger, but the vinca and pachy look really beautiful in their indoor roles. Will vinca climb a wire arch inserted in a pot? Or will it only trail? Justin – regarding Blue Pimpernel, keep your fingers crossed! Gardenlady – Yes, vinca will cover a wire arch, if you train it to do so. And if you let some of the stems climb and others trail, you'll have very lush presentation! I have the variegated vinca that is a common houseplant, but I've never tried the outdoor, vinca groundcover. It looks beautiful in your window garden! 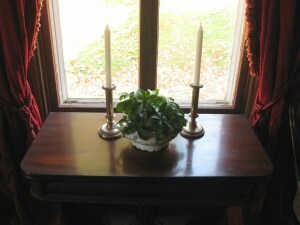 And the pachysandra – what a great centerpiece with candles! Emily – yes, the pachysandra is soooo easy and versatile. Makes an instant centerpiece. Glad you like it. Help! My English Ivy has little webs on the stems and leaves, and the top leaves are starting to dry out! Is this the dreaded red spider? Kevin, the blue pimpernel is interesting. I might like to try it outdoors next spring. Did you grow it from seeds? Janis – English ivy is a magnet for red spider. A weekly blast with cold water will solve the problem. 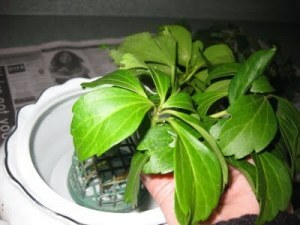 As for dried-out tips, cut the plant back to where growth is fresh and green. 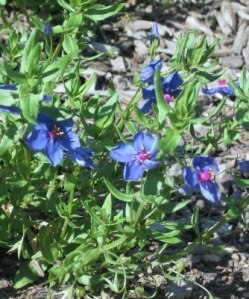 Andrew – I bought Blue Pimpernel as young, greenhouse-raised seedlings last spring. You can certainly grow the plant from seed, however.